Mid Level System Administrator Scott Air Force Base, IL EVS is hiring for a full time Mid Level System Administrator to support one of our Government Contracts at Scott AFB. Description: Provides system administration services consisting of effective system/servers provisioning, installation, configuration, operation, and maintenance of Systems hardware, software, and related infrastructure. Perform multiple, highly complex, technical tasks in order to support production environment, applications, system designs, configurations, hardware, utilities, and operational conditions. Ensure the Systems hardware, operating systems, software systems, and related procedures adhere to approved production configurations; system availability and reliability standards; and OEM system operation and maintenance procedures Required Skills Possesses 4 years’ experience that includes 2 years in a specialized area. Specialized experience includes: administrating UNIX, Windows NT, Novell systems and/or open systems. 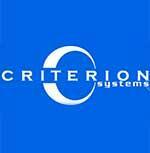 Optimizes system operations and resource utilization and performs system capacity analysis and planning. Provides assistance to users in accessing and using business/computer systems. Monitors and supports computer processing. Coordinates input, output, and file media. Distributes output and controls computer operation. Security Plus certification Active Clearance Bachelor’s Degree in Computer Science, Information Systems, Engineering, Business, Social Science, or other related analytical, scientific, or technical disciplines. Desired Skills: Hazelcast Talend, Red Hat Linux RabbitMQ. CLICK ON LINK BELOW TO BE DIRECTED TO OUR WEBSITE FOR YOUR APPLICATION PROCESS: https://evs.catsone.com/careers/44811-General/jobs/11594550-Mid-Level-System-Administrator EEO Statement: All qualified applicants will receive consideration for employment without regard to race, color, religion, gender, sexual orientation, gender identity, marital status, age, national origin, protected veteran status, or disability. VEVRAA Federal Contractor. 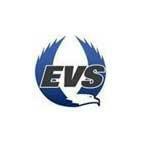 EVS is hiring for a full time Mid Level System Administrator to support one of our Government Contracts at Scott AFB. Description: Provides system administration services consisting of effective system/servers provisioning, installation, configuration, operation, and maintenance of Systems hardware, software, and related infrastructure. Perform multiple, highly complex, technical tasks in order to support production environment, applications, system designs, configurations, hardware, utilities, and operational conditions. Ensure the Systems hardware, operating systems, software systems, and related procedures adhere to approved production configurations; system availability and reliability standards; and OEM system operation and maintenance procedures Required Skills Possesses 4 years’ experience that includes 2 years in a specialized area. 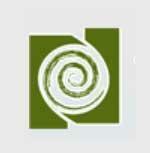 Specialized experience includes: administrating UNIX, Windows NT, Novell systems and/or open systems. Optimizes system operations and resource utilization and performs system capacity analysis and planning. Provides assistance to users in accessing and using business/computer systems. Monitors and supports computer processing. Coordinates input, output, and file media. Distributes output and controls computer operation. Security Plus certification Active Clearance Bachelor’s Degree in Computer Science, Information Systems, Engineering, Business, Social Science, or other related analytical, scientific, or technical disciplines. Desired Skills: Hazelcast Talend, Red Hat Linux RabbitMQ. Click on link below to be directed to our website for your application process: https://evs.catsone.com/careers/44811-General/jobs/11594550-Mid-Level-System-Administrator/ EEO Statement: All qualified applicants will receive consideration for employment without regard to race, color, religion, gender, sexual orientation, gender identity, marital status, age, national origin, protected veteran status, or disability. VEVRAA Federal Contractor. EVS is hiring for a full time Junior Database Administrator to support one of our Government Contracts at Scott AFB. Description: Research and evaluate emerging technologies, plan for implementation, and implement as appropriate. Uses state- of-the art DBMS systems such as Oracle or Sybase to function in a relational DBMS environment. Provides day-to-day database administration to include database backup and recovery Required Skills Possesses 3 years’ experience that includes 1 year in a specialized area. Specialized experience includes: demonstrated experience with DBMS design and system analysis, current operating systems and data manipulation languages. Provides database administration and troubleshooting. Security Plus Certification is required upon 90 days of hire Must be US Citizen and able to obtain Security Clearance Bachelor’s Degree in Computer Science, Information Systems, Engineering, Business, Social Science, or other related analytical, scientific, or technical disciplines. Desired Skills: MongoDB Click on link below to be directed to our website for your application process: https://evs.catsone.com/careers/44811-General/jobs/11899219-Junior-Database-Administrator EEO Statement: All qualified applicants will receive consideration for employment without regard to race, color, religion, gender, sexual orientation, gender identity, marital status, age, national origin, protected veteran status, or disability. VEVRAA Federal Contractor.